1951: born in Dalmarnock, Glasgow's east-end, on 4 March. Dalglish grew up supporting Glasgow Rangers. Born in Dalmarnock in the East End of Glasgow on March 4, 1951. He moved to Milton in the north of Glasgow in 1952 and (at the age of 1), along with his mum, dad and elder sister Carol stayed there for around fourteen years. He went to Miltonbank School then High Possil Senior Secondary. From the moment he could walk he was kicking a football. He played for High Possil School Football team. The family moved to Govan around 1966 as his dad was a Rangers fan and they moved there to be nearer Ibrox in the hope that Kenny would play for Rangers one day. 1966: Played for Scotland schoolboys. He first made his mark at Miltonbank primary school - in goal! But by the time he was capped as an under-15 Scottish Schoolboy he had switched to right-half, scoring twice on his debut in a 4-3 victory over Northern Ireland Schoolboys. His next schoolboy international appearance was in a 1-1 draw against England. The People newspaper covered the game, singling him out for praise as "a brilliant ball-player." There was never any doubt that he was going to be a professional footballer. The question was for whom? He wanted to join his idols at Rangers. He had a trial at West Ham, but that came to nothing. And so it was that Dalglish, the son of an engineer, found himself playing for Glasgow Celtic and Jock Stein. 1969: First team debut for Celtic (324 games, 167 goals). 1967: Joined Celtic on provisional contract. Kenny Dalglish played for Drumchapel Amateurs and Glasgow United before Vic Davidson's mother recommended him to Sean Fallon, caretaker manager of Celtic, in 1967. His signing, on a provisional contract in July 1967, was not without amusement. Jock Stein, the legendary Celtic manager, had sent his assistant Sean Fallon to see Dalglish and his parents at their home. Fallon drove there and left his wife Myra and their three children outside in the car while he went in, saying he wouldn't be long. It was three hours before Fallon emerged with Dalglish's signature and his wife was less than pleased. It wasn't just that the kids were hungry and restless after being couped up. It was the couple's wedding anniversary. 1968: Turned professional; loaned by Celtic to Cumbernauld United. Dalglish was farmed out to a Celtic nursery side, Cumbernauld United, and he also worked as an apprentice joiner. By the following year he had turned professional and was a regular member of a Celtic reserve team so good it was known as the Quality Street Gang. 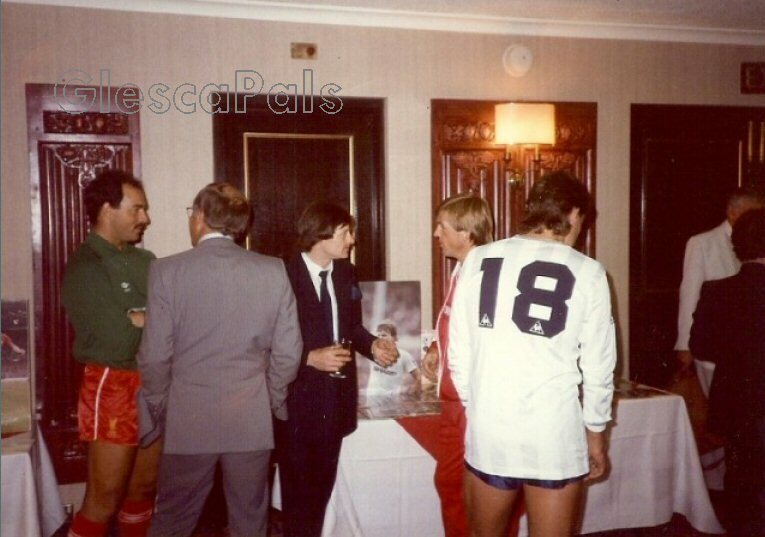 It took Dalglish three years to establish himself in the first team. At that time Celtic were not only top dogs in Glasgow, they had become the first British team to win the European Cup, beating the mighty Inter Milan. Stein took a great interest in the lad, recognising his potentially outstanding talent. Eventually he gave him his chance in a benefit match. The result was Celtic 7 Kilmarnock 2. Nothing unusual about that - except that Dalglish scored six! 1971: Won first of 102 Scotland caps (8 as sub), scoring 30 goals. 1972-73 Dalglish, now playing up front, was Celtic's leading marksman with a seasonal tally of 41 goals in all competitions. And that Dalglish trademark of shielding the ball with his back to the goal had emerged. 1975-76 Dalglish was made Celtic captain but it was a miserable year. Stein was badly hurt in a car crash and missed most of the season. Celtic failed to win a trophy for the first time in 12 years. 1976-77 The next season Stein was back and Celtic did the Cup and League double. Dalglish, however, had made up his mind to leave. Celtic had won the European Cup before he had arrived at the club and Dalglish wanted the chance not just to savour European football, but to be where there was a real chance of success. "I had to know if I could make it somewhere else," he explained. "I did not want to go through the rest of my life wondering what might have been without putting myself to the test." Dalglish had enjoyed an enviable run at Celtic. Five Scottish Championships, four Scottish Cup-winners' medals, one Scottish League Cup-winners' medal and a tally of 167 goals. But it wasn't enough for him. He was ambitious and needed a new challenge. 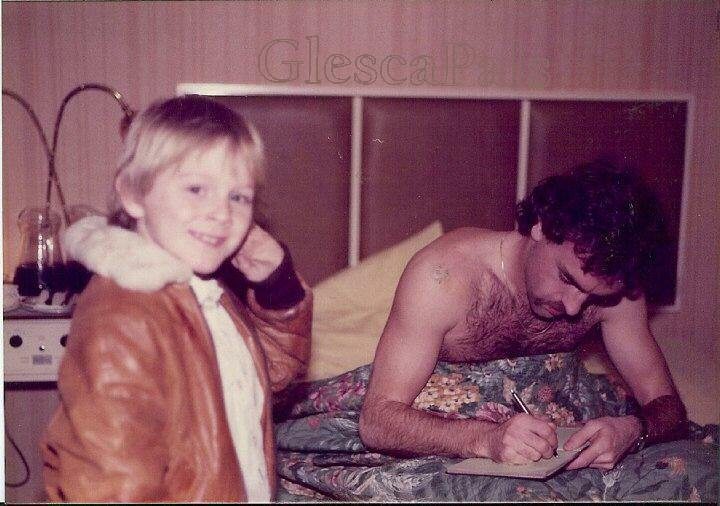 1977: Transferred to Liverpool for record transfer fee of £440,000 on the 11th of August. 1977: first season was a triumph for Dalglish. He scored 30 goals, including the only goal of the game as Liverpool retained the European Cup against Bruges at Wembley. Dalglish had left Scotland looking for European glory and had found it inside one year. 1979: Footballer of the Year. 1983: Footballer of the Year and Players' Player of the Year. 1985: Appointed manager of Liverpool in wake of Heysel tragedy. 1986: Leads Liverpool to League and FA Cup double in his first season. 1988: Wins League title, but lose to Wimbledon in FA Cup final upset. 1989: Attends many of the funerals of the victims of the Hillsborough disaster. Liverpool beat Everton 3-2 after extra time to win FA Cup, but lose title to Arsenal after dramatic final match at Anfield. 1990: Wins his third League title with Liverpool. With Kevin Keegan having departed to Hamburg for £500,000 earlier that summer the capture of Dalglish as his replacement must rank as one of football's shrewdest pieces of business as the Glaswegian who amassed a record 102 caps and joint record 30 Scotland goals inspired the club to new heights. 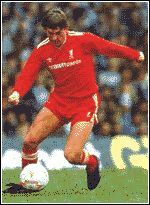 Such was Dalglish's skill at holding on to the ball that, years later, the former Arsenal and Republic of Ireland defender David O'Leary would describe trying to rob him of possession as "impossible. ""He crouches over the ball, legs spread and elbows poking out," said O'Leary. "Whatever angle you come in from, you're liable to find his backside in your face." With Ray Clemence, Alan Hansen, Graeme Souness and Billy Liddell he was voted into the BBC Merseyside Team of the 20th Century and he is an MBE. After eight brilliant years as a player he was asked in 1985 to combine his work on and off the pitch to become Liverpool¹s first player / manager. It was an inspired choice. In the space of five years he was voted 'Manager of the Year' three times and led Liverpool to a League and FA Cup double in 1986 and further championships in 1988 and 1990. He was responsible for signing some fine players including John Barnes, Peter Beardsley and a young Jamie Redknapp. One of his great moves was to make the brilliant defender Alan Hansen his captain - a move applauded by all but the painfully shy Hansen. Alan however rewarded Dalglish's faith and turned in some of his finest performances under Kenny. When it came to transfers, the purchase of John Aldridge to replace the surely irreplaceable Ian Rush equalled that of Paisley buying Dalglish to replace Keegan. The terrible, shattering events at Hillsborough on April 15th 1989, spelt the end of Dalglish's time with the club, and indeed for a time, with football. Dalglish and his squad spent countless hours trying to find ways to bring comfort to the bereaved and traumatised, but eventually if proved too much for this sensitive man. He suddenly resigned in 1991, after admitting that the strain and emotional distress of the Hillsborough tragedy had made him feel like his 'head would explode'. Liverpool goalie Bruce Grobblar, ?, Snooker champion Alex 'hurricane' Higgins, Kenny Dalglish, Glen Hoddle .